Now that you’ve got all your settings just right, it’s time to make your new video! 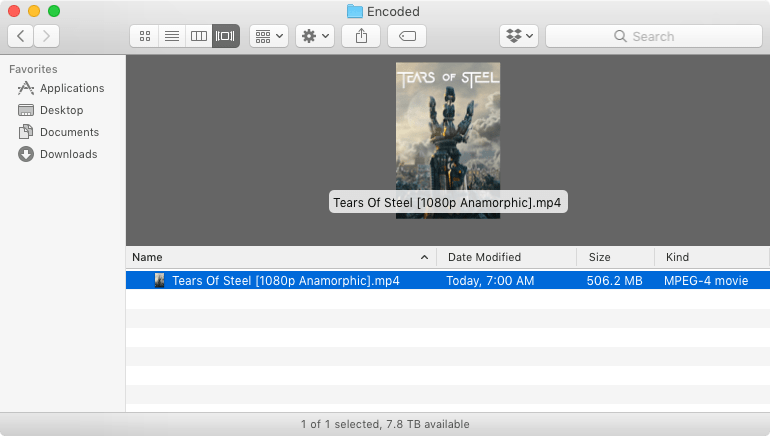 HandBrake calls the file name and location of your new video the Destination. Save As is the file name of your new video. You can change it by typing directly in the box. To is the location where HandBrake will place your new video. You can select the Browse... button to choose a different location. The Destination is where HandBrake will place your new video. Please take special care to note your destination. Otherwise, you won’t be able to find your new video. You can move it later if you desire. Select the Start button on the toolbar to make your new video. The Toolbar provides easy access to HandBrake’s most common functions. 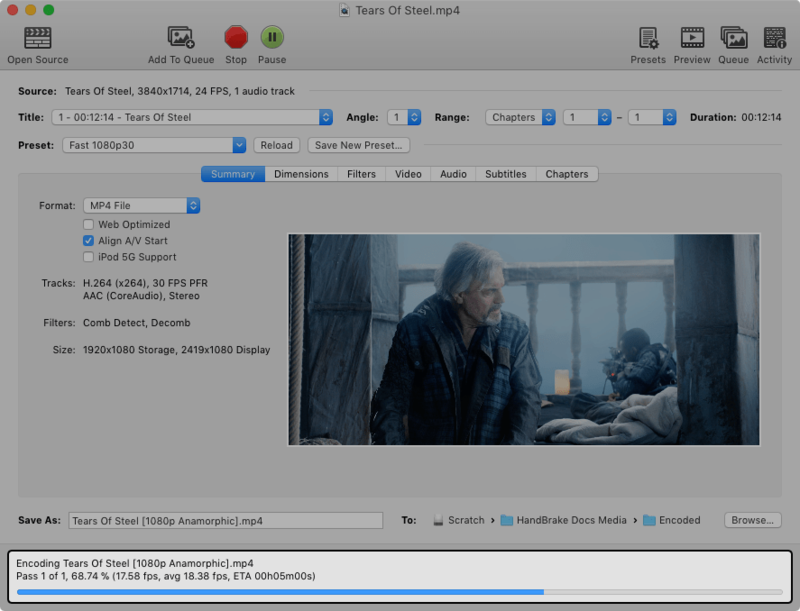 HandBrake reports its progress during encoding. HandBrake shows a notification when finished encoding. HandBrake will report its progress while it’s working and alert you when it’s finished. Then you will have a new video file at the Destination you specified. Your new video is located at the Destination you specified. Congratulations! You just encoded your first video using HandBrake. It’s now ready to watch on your devices. Continue to Multiple encodes using the Queue. 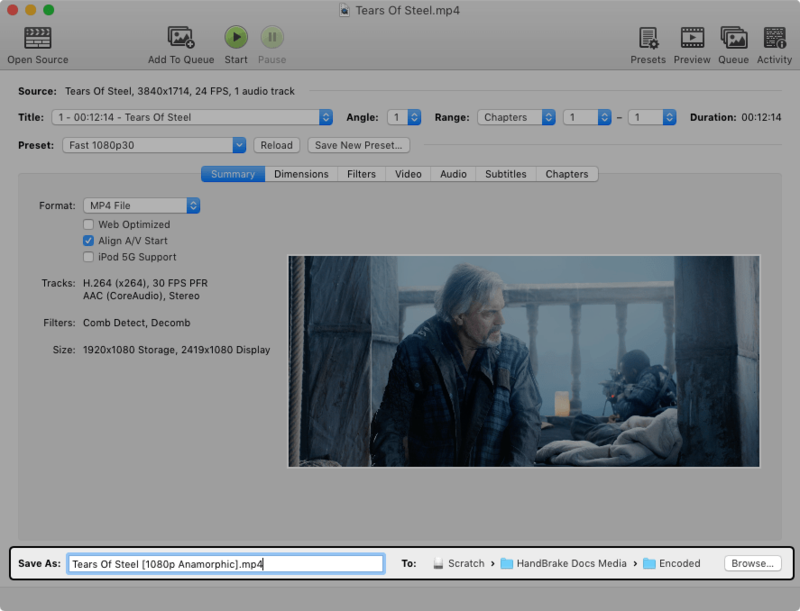 If you didn’t get a video file as expected, encountered an error, or had some other trouble, you can continue reading to learn more about how HandBrake works or jump right to Troubleshooting common issues.